When you take stock of your life, asking yourself the simple question “Am I as happy as I want to be?” cuts to the heart of it all. This question helps you stop settling and orient toward what needs to happen so you can have a meaningful and inspiring life. As we get older, life becomes more and more complicated and multi-faceted. I’ve realized though that there’s a simple question you can ask to take stock of your life. If not, what would make you happier? I’m not going to the extreme to say every moment should be filled with joy or ecstasy, but I see men settle for much less happiness than I know is possible! Even with the complications of career, family, romantic relationship, health and family you can orient yourself toward what makes you happy and fulfilled. 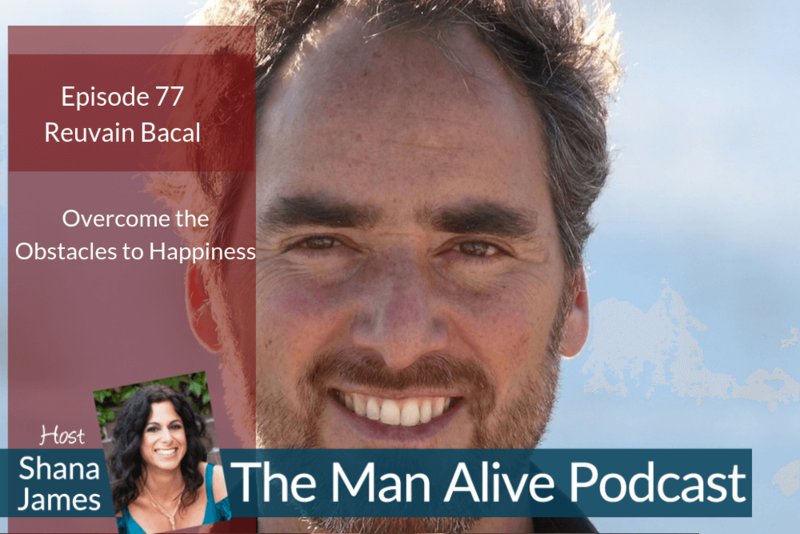 Today’s podcast guest and men’s coach, Reuvain Bacal, helps men be happier on the deepest levels. He has been efficiently and effectively working in the realms of limiting beliefs, challenging emotions, relationship patterns and purpose for more than a decade. If you’ve been struggling with any aspect of your life, listen to this conversation! We discuss some simple ways to get happier, more connected and on purpose! Reuvain is a transformational coach and psychotherapist helping men quickly identify and dismantle their obstacles to live inspired, fulfilled lives of purpose. He helps couples clear conflict and create loving, inspiring relationships. He lives with his wife and daughter on a homestead at the foothills of the Rocky Mountains outside of Boulder Colorado. Contact Reuvain for a breakthrough in your life and relationships.